Titanic victim’s pocket watch sells for $57,500 at Heritage Auction. One of the most horrific maritime disasters of all time, the sinking of the Titanic, which took more than 1500 lives in 1912, is a history lesson never forgotten. As such, it is really no surprise to me that someone paid $57,500 for an old pocket watch that had been owned by Sinai Kantor, a victim the Titanic disaster. The watch, which went up for auction a few days ago by Heritage Auction, was sold to John Miottel, owner of a private museum (Miottel Museum) of ocean liner memorabilia. Sinai, a Russian Jew immigrating to America with his wife, was able to get his wife onto one of the lifeboats before perishing in the disaster. Later, the wife struggled to recover her husband’s effects months after the event. The pocket watch survived and she was later able to claim it. 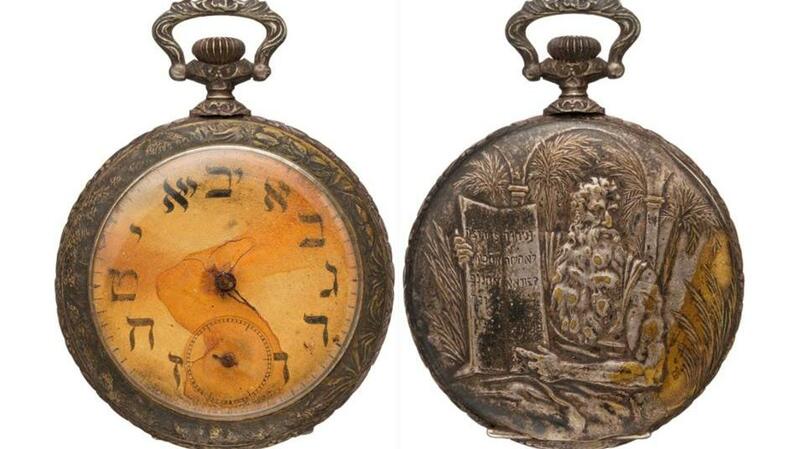 It was sold by a descendant of Sinai, along with papers that detailed the wife’s efforts to recover the watch. 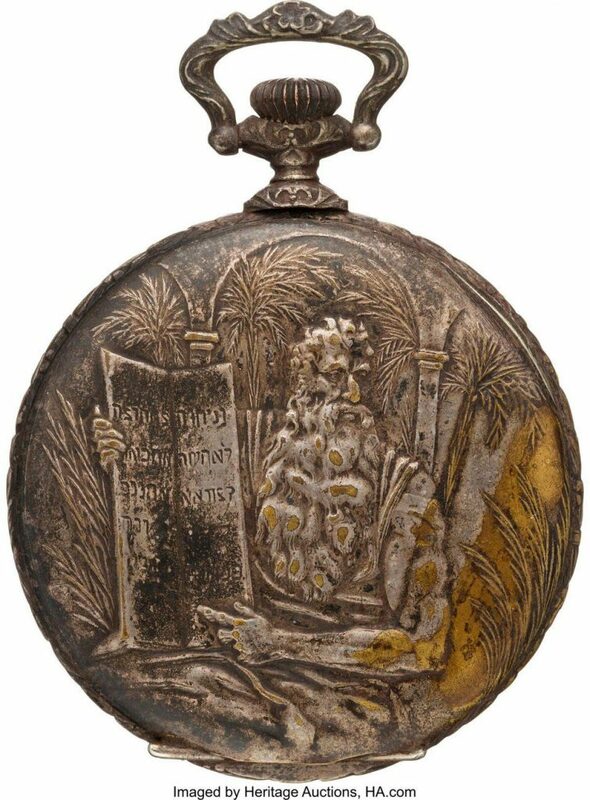 The religious watch features an engraving of Moses with the Ten Commandments. The silver-plated brass Swiss-made pocket watch features an engraving of Moses and the Ten Commandments on one side. 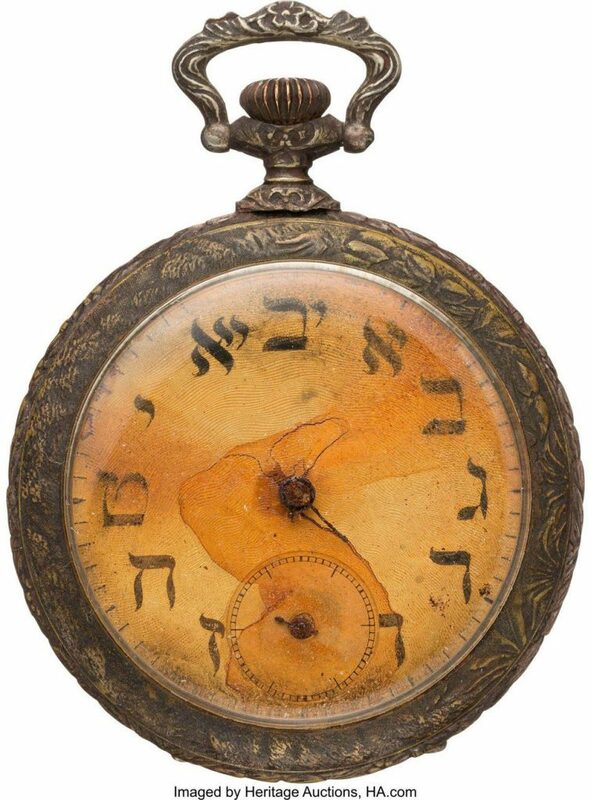 The dial side has Hebrew numerals. The watch houses a rusted manual wind movement, and the dial is stained. While the watch naturally doesn’t work, it is an important piece of history. It joins a few other timepieces owned by other Titanic victims already on display at Miottle’s museum. Titanic victim’s pocket watch sells for $57,500 at Heritage Auction to ocean liner museum collector Miottel.